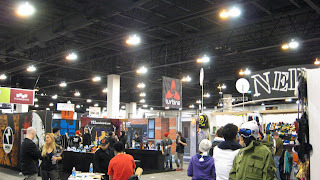 A group of us are here in Denver working the SIA snow sports show. It's completely crazy! The show used to be in Las Vegas and is now in its more appropriate home. 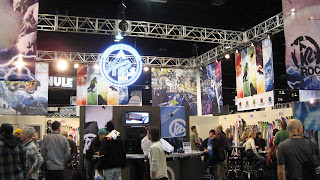 Our team of buyers are scoping out next year's gear so we always have the best to offer in the Alpine Trader. The show isn't open to the public so a bunch of us resorts and bars have gotten together to throw the World's Largest Apres Ski & Ride Party. If you're a Denverite, or just happen to be in town, come to Marlowe's Bar & Restaurant on 16th Street from 5-10pm Friday and Saturday nights for the Powderhorn party. We're giving away lift tickets, snowboards and Loki gear. Plus they have great drink specials going on every hour. You also have a chance to win lift tickets at the Paramount Cafe.